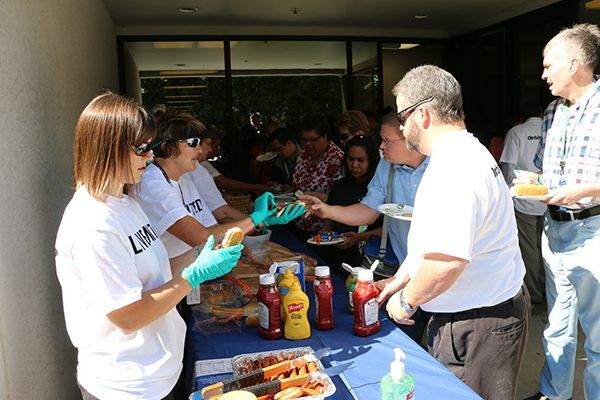 Orbital ATK’s 2015 United Way campaign kicked off in early September with events and fundraisers held at company sites around the country. The annual campaign, which runs from September 8-30, is a great opportunity for employees to give back to their local communities. 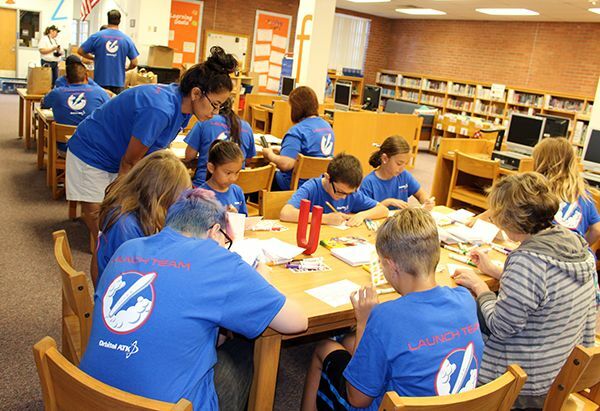 The United Way is focused on initiatives important to all of Orbital ATK’s employees: improving education, helping people achieve financial stability and promoting healthy lives. The United Way is also there to provide safety-net services to help those who need temporary assistance to get back on their feet. 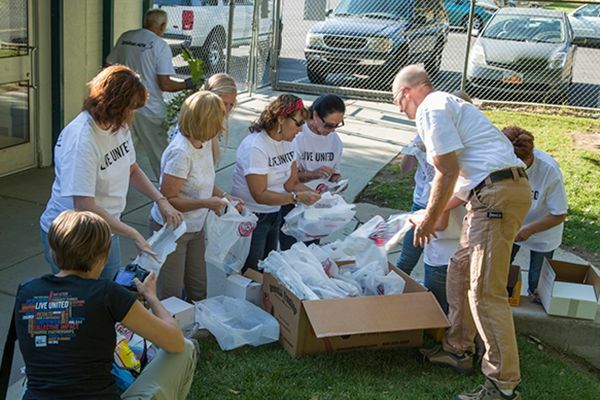 This year, employees across the country demonstrated their generosity in helping give back to their local communities by participating in service events through the Days of Caring program and other fundraising activities. Below are photo highlights of some of the key events held throughout Orbital ATK. Orbital ATK volunteers in Logan, Utah, worked on several projects at the 104-year-old Whittier Community Center, which houses 25 local civic organizations and is used by more than 1,000 patrons each week. Here, employees give the rooftops of the castle play structure a fresh coat of paint. Day of Caring volunteers pause for a snack between projects at the Whittier Community Center in Logan, Utah. Orbital ATK employee Beth Klaumann paints the face of a Pioneer Adult Rehab Center member at the United Way Day of Caring in Clearfield, Utah. 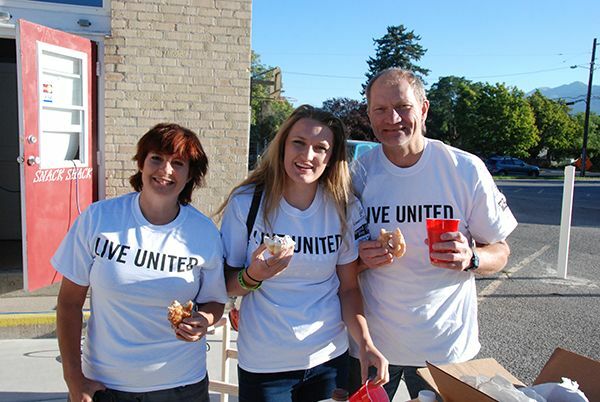 Aerospace Structures Division employees serve lunch to Pioneer Adult Rehab Center members at the United Way Day of Caring in Clearfield, Utah. Orbital ATK volunteers prepare goodie bags to pass out to the children at the fiesta themed carnival Day of Caring event at the Kearns Children’s Center. 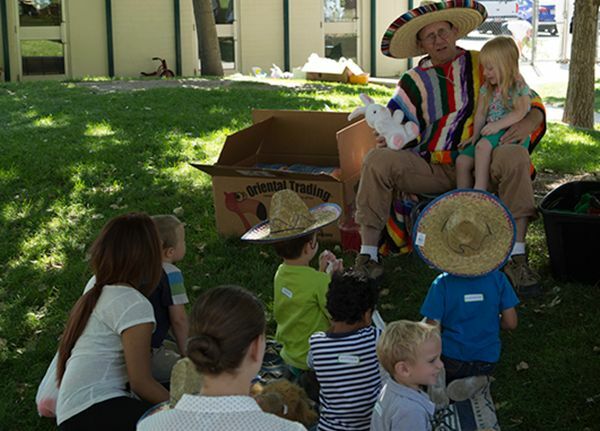 Orbital ATK’s George Rausch brings smiles to the children’s faces during story time at the fiesta themed carnival for the kids at the Kearns Children’s Center. 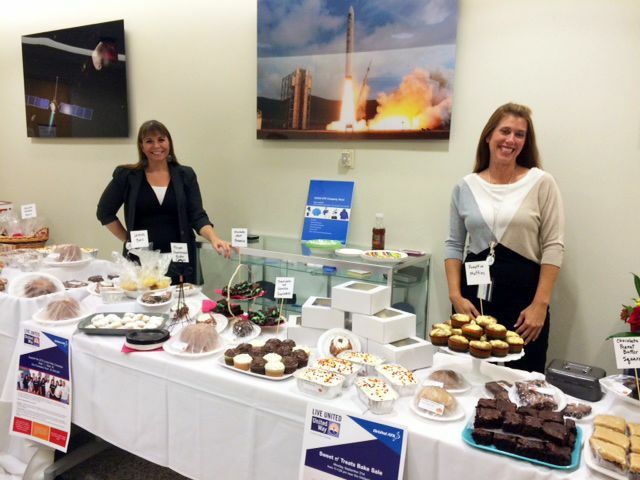 Smiling employees at Orbital ATK’s Dulles, Virginia, site host a homemade goods bake sale to raise money for Echoworks, Inc., a local non-profit organization in Leesburg, Virginia, providing support services, training and job placement opportunities for people with disabilities. 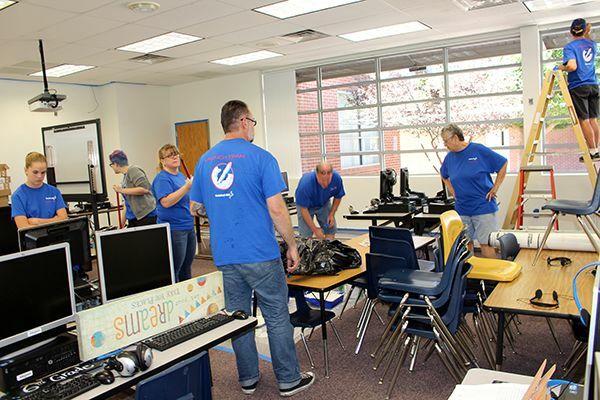 Orbital ATK employees and their families participated in a United Way Day of caring at the Hartford Sylvia Encinas elementary school in Chandler, Arizona. The team spent the day painting the computer lab, building and stacking shelves for the library, organizing an area to store gently used uniforms, and writing hundreds of encouragement cards. As part of the Day of Caring at the Hartford Sylvia Encinas elementary school in Chandler, Arizona, the team colored encouragement cards which are given to low-income children as part of their weekend nutrition kits.